A motion platform is a mechanical device that provides movement across one or more of the six degrees of freedom (DoF), which are individually defined as X, Y, Z, θ-X, θ-Y, θ-Z, and often referred to as surge, sway, heave, roll, pitch, and yaw. Objects in a three-dimensional space can change position and orientation across three perpendicular axes: normal, transverse, and longitudinal. Mechanical systems are frequently defined by their range of freedom with respect to translational motion or changes in orientation. For example; a linear motion platform may comprise a sliding rail (linear slide) that can travel up to pre-defined lengths across a single plane. By combining multiple single axis motion devices into X-Y or X-Y-Z systems, objects can subsequently be translated, horizontally or vertically across all three perpendicular axes. By adding rotational or tilting stages to a linear motion platform, the orientation of the object can be changed as well up to 360°. Manipulating the mobility of samples or components by means of a motion platform represents a myriad benefits for academic, industrial, and scientific fields of research and development. In this blog post, we will outline some of the working principles of motion platforms in more detail. In a perfect world, linear motion platforms would offer manipulation of translation limited to exactly one degree of freedom. In reality, no motion platform can totally eliminate motion in all other (unwanted) degrees of freedom. This unwanted motion is often described as straightness, flatness, pitch, yaw, and roll. For long travel ranges, linear platforms based on air bearing guiding technology provide the best performance when it comes to limiting unwanted motion from components. For short travel ranges in the mm-range and below, flexures are an excellent choice at restricting unwanted motion. 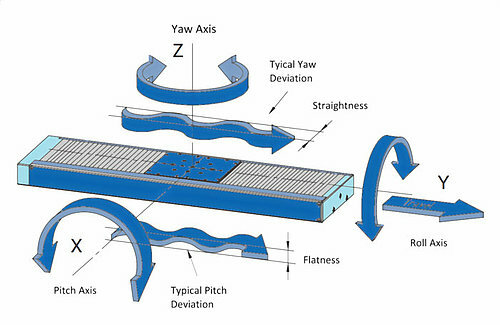 Between the two extremes, a multitude of linear guiding techniques is available (dependent on travel range, guiding precision, load, friction, and cost) from simple dove-tail mechanisms to linear slides with cross roller bearings. 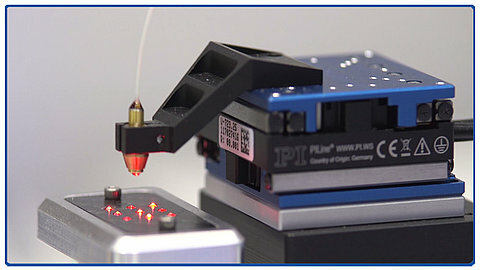 Fast miniature X-Y motion platform is performing an active photonics alignment. 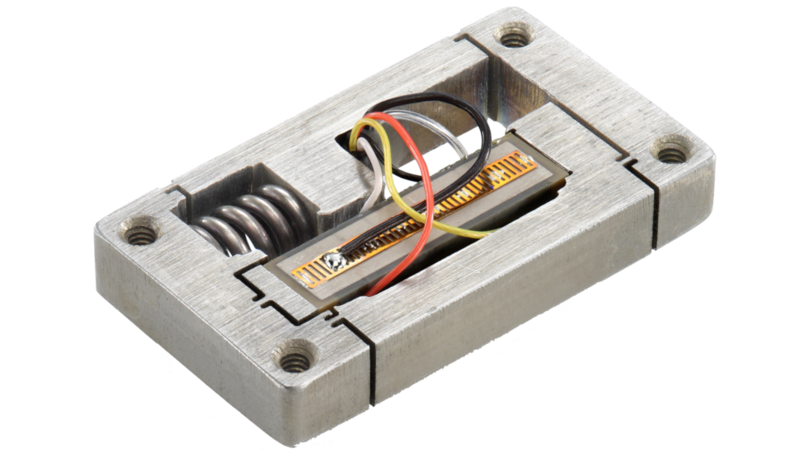 To ensure precise and repeatable motion, position sensors (usually optical linear encoders) are integrated into the stage base and moving platform. A motion controller records the position of the mechanism continuously. 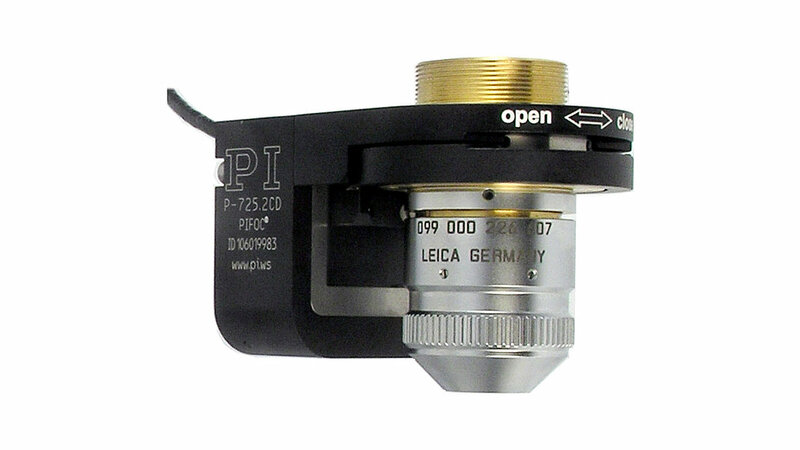 With modern encoders and controllers, positional resolution in the nanometer range is achievable over long distances with linear positional accuracies in the micrometer (μm) range and below – depending on the device type and specification. The same basic rules apply to rotary stages. 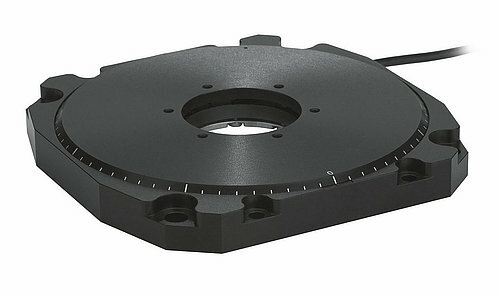 Ideally, a single-axis rotary stage will provide pure rotation around one linear axis. In real life, other motion components such as lateral and vertical runout, along with unwanted tilting motions, cannot be completely avoided. 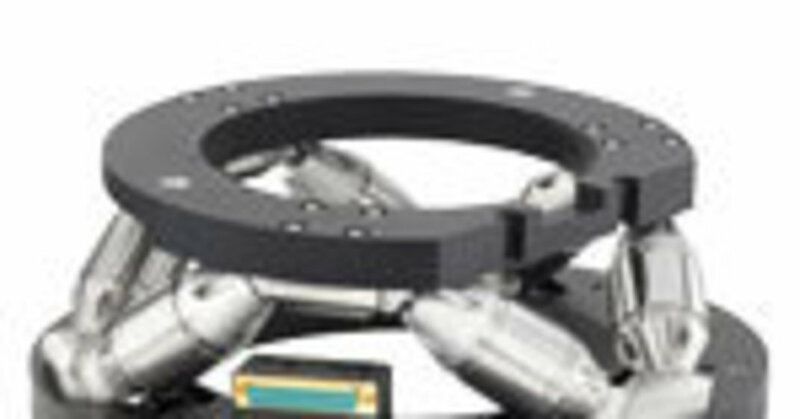 Like with linear platforms, rotary air bearings provide the best performance for continuous rotation and flexure guides are often used for small rotations in the milliradian range, such as required in fast steering mirror platforms. A low profile rotary motion platform (rotation stage) based on a piezo-ceramic direct drive motor. 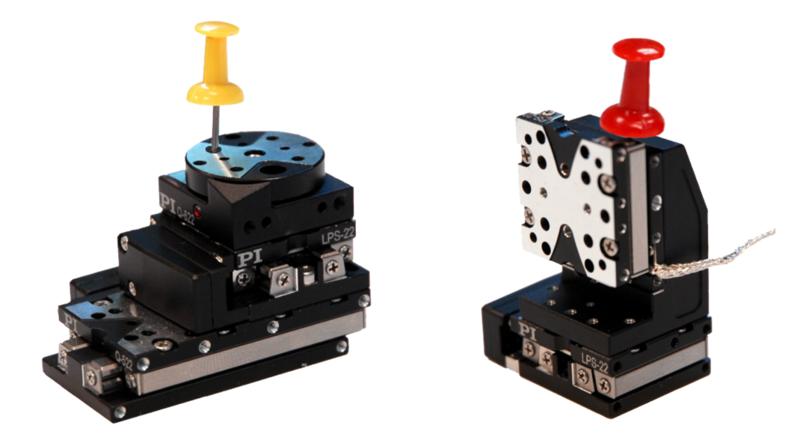 By combining individual linear and rotational stages, multi-axis platforms with up to 6 degrees of freedom can be designed. When it comes to precision of these mechanisms, unfortunately, the “Whole is Greater Than the Sum of Its Parts”, because each error in every degree of freedom of each individual component is leveraged and multiplied at the point of interest. 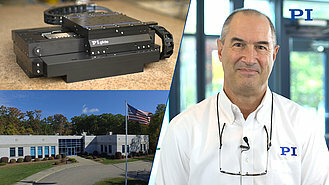 Parallel kinematics platforms – a different approach to multi-axis motion – have become popular with the advent of high-performance motion controllers. 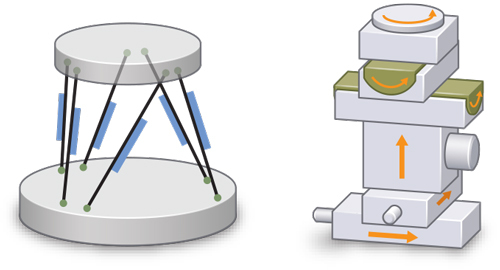 In hexapods (six-legged platforms), motion with all six degrees of freedom is provided by controlling the length of individual struts that don’t require the restriction of linear or rotary bearings. Hexapod platforms have become famous in motion simulators used for training airline pilots. These high-load systems were based on hydraulic actuators where force and speed are more important than accuracy. 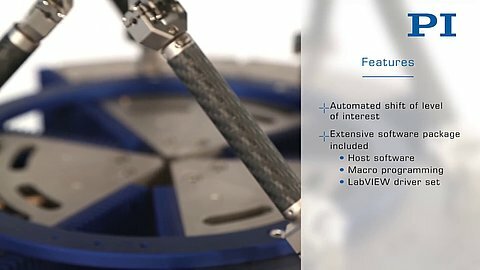 Modern electromechanical hexapods are used for applications such as active fiber-optics alignment with precision requirements down to the nanometer range. High dynamics is delivered by linear motors and used for motion simulation such as human hand tremble to improve the performance of cell phone cameras by eliminating blurred images with optimized software algorithms. Not every application requires motion in multiple degrees of freedom. There are a plethora of advanced application areas currently being served by various motion platform architectures. However, the range of applications is significant and continues to grow: beamline experiments, high-resolution microscopy, semiconductor metrology, photonics alignment, optical calibrations, automotive technology, to name a few. 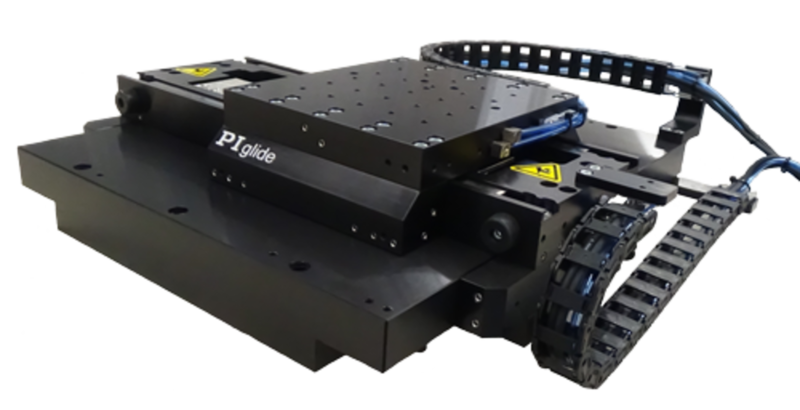 PI offers world-class motion platforms and positional controllers for a global market. We provide instruments and solutions, with a transparent approach to sales and a true commitment to high-quality aftercare. If you would like to learn more about our extensive range of motion platforms, please do not hesitate to contact a member of the team.